I’ve talked about framing three-dimensional objects before and here is a perfect example of displaying items that would otherwise have been kept hidden in a drawer. 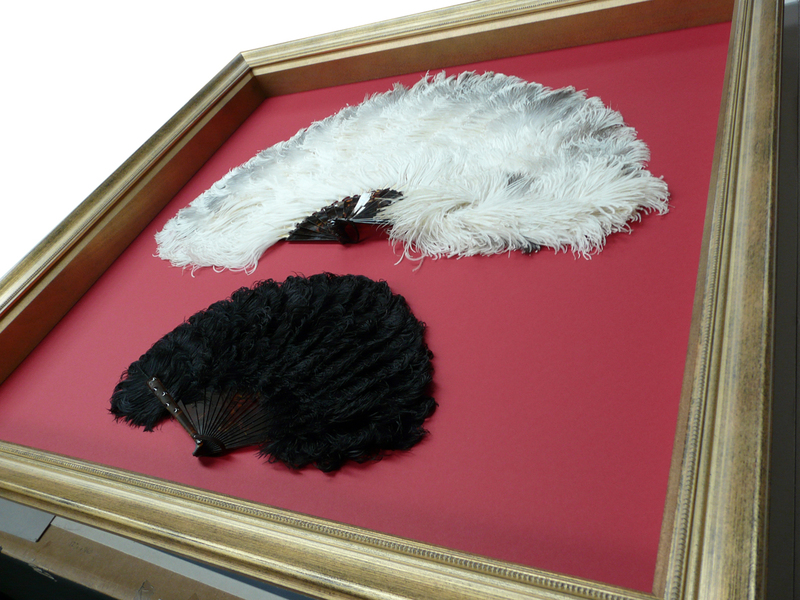 A customer recently bought in two beautiful antique, ostrich feather fans. 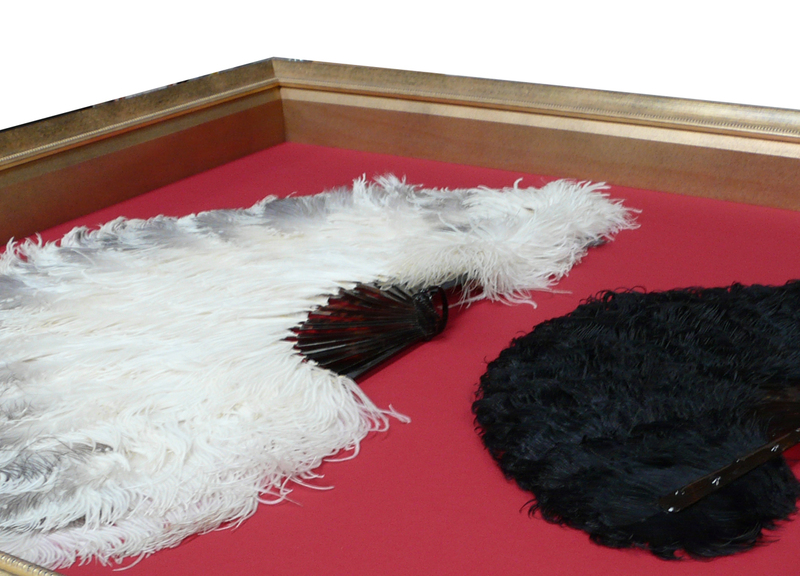 They were very large and because of the feathers, required a deep frame to accommodate them. The fans were surface mounted onto a deep red board, carefully attached with invisible thread so they could be removed at any time without damage. We chose a traditional gold frame, in keeping with the style and age of the fans. It was wide enough to provide strength to hold the glass in place but did not overpower the delicate fans. To ensure the glass did not touch the feathers we built a deep, gold spacer into the frame, creating a box. We used our Clear Colour plus UV to reduce reflection and protect the fans and mount from fading. These antique fans, too beautiful to be hidden in a drawer can now be enjoyed everyday! Last week we updated and added to our range of larger, premium frames. 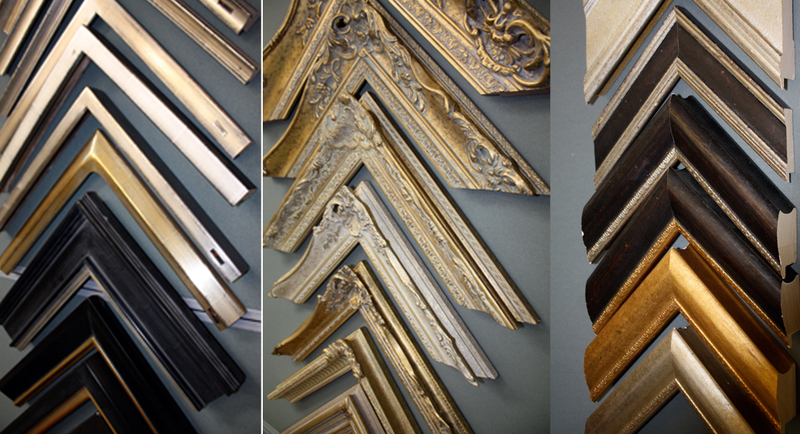 We now have mouldings to suit every style and budget, from a simple photograph to an antique oil painting. The new range is ideal for larger artworks, especially paintings on canvas, whether they be traditional or contemporary. We have sourced exquisite, hand made frames from Germany, with carefully applied gold and silver leaf sweeping around the corners. These are complimented by a beautiful selection of traditional English frames, hand-carved by craftsmen for over 40 years. The selection is completed by our original range of exceptional Italian frames. 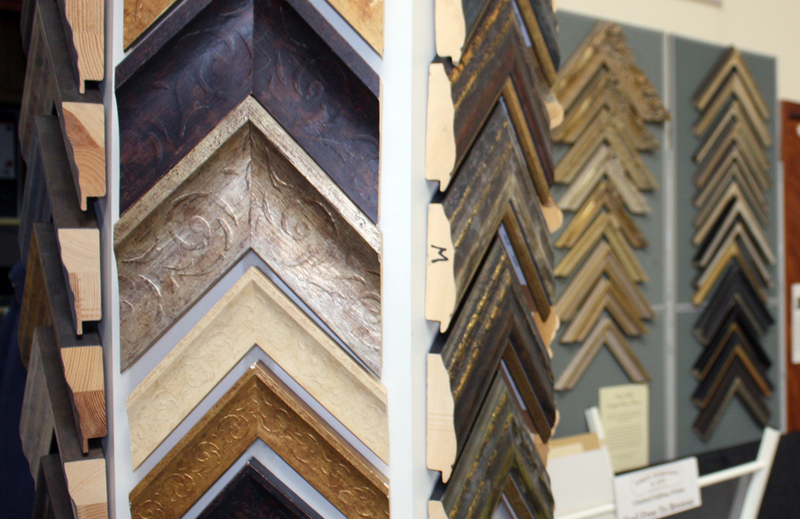 We have chosen the frames carefully to ensure there is something to suit everyone but if you still don’t find what you are looking for we are very happy to order samples and place a special order for you. 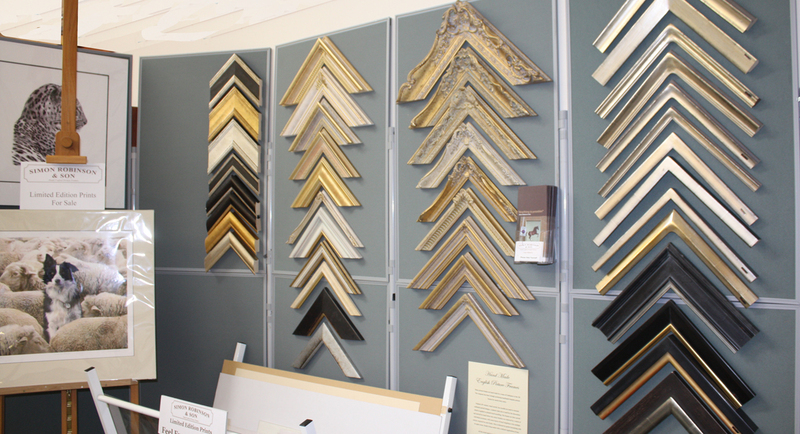 We firmly believe that a frame should compliment the artwork rather than overpower it. 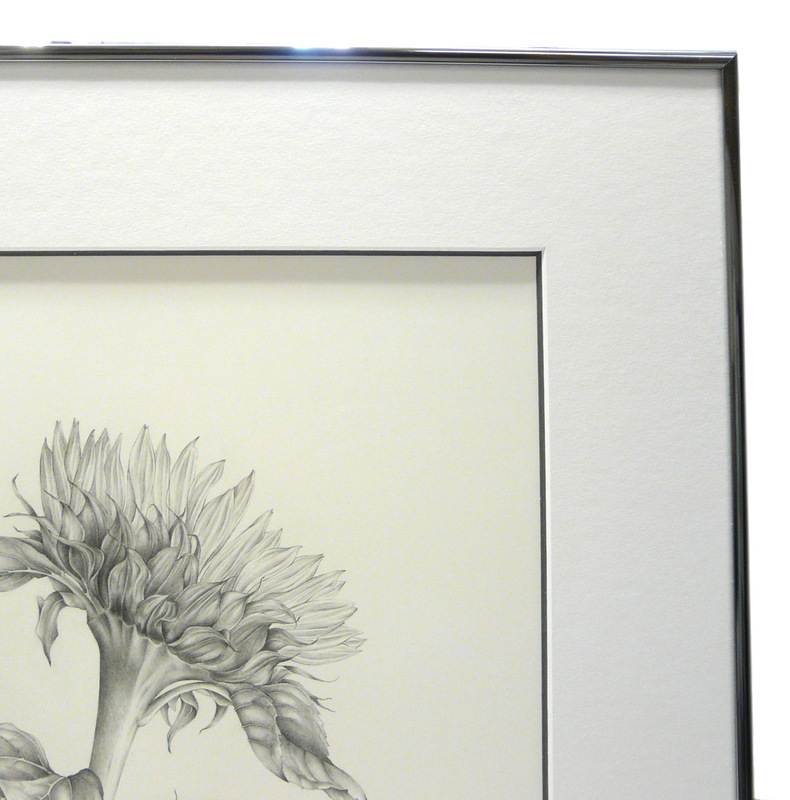 This was perfectly illustrated recently when we framed a beautiful, detailed pencil drawing of a sunflower. The exquisite drawing would be lost against many mouldings and mounts so we had to find a simple yet suitable combination. We decided to use one of our special bevel double mounts, revealing only a small amount of the bottom colour. This is much more subtle than a traditional double mount and is perfect for delicate artworks. 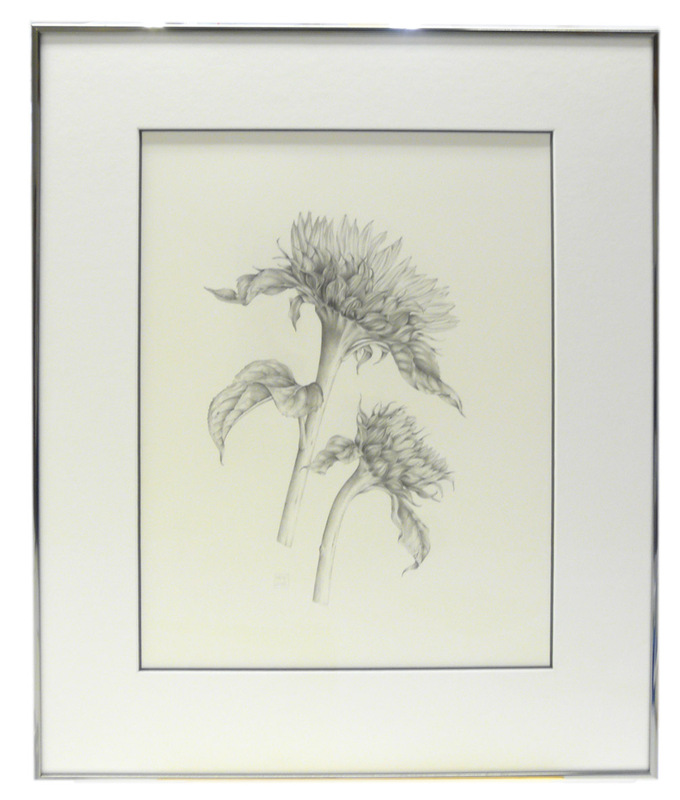 We used a grey colour below, to match the pencil, with an off white top mount. As I have said, the frame choice had to compliment the delicacy of the artwork so we chose a very thin gun-metal aluminium. It echoes the thin grey line in the mount and due to the narrow profile directs all our attention to the drawing. Because of the detail in the drawing we glazed it using Clear Colour plus UV glass as there is virtually no reflection. Any detailed work benefits enormously from this special glass, the clarity being unmatched. We have a large selection of aluminium frames at Simon Robinson & Son. We have recently taken delivery of two new ranges of exceptionally thin profiles, perfect when keeping the framing simple and minimal. So often three-dimensional items are hidden away in a drawer when instead they could be hung on a wall for you to enjoy. 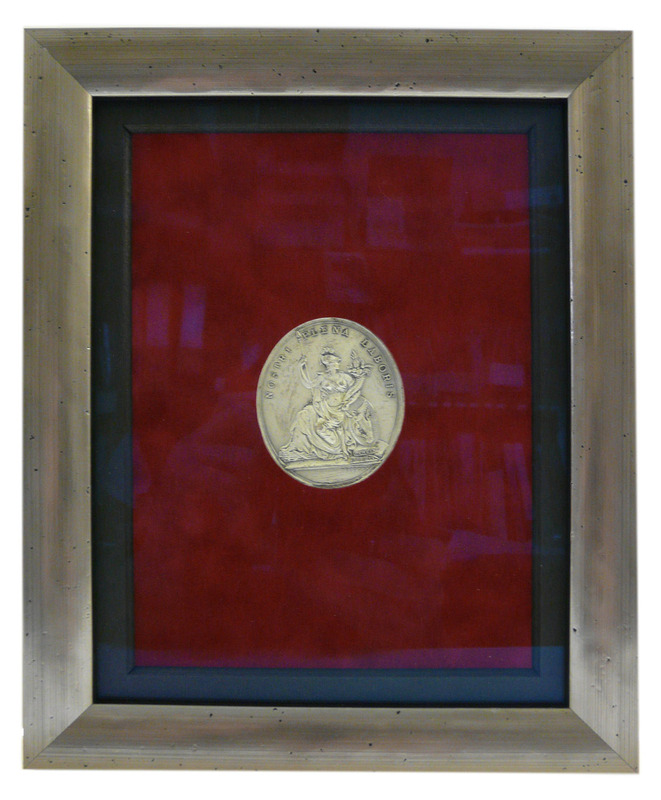 We have framed all sorts of items over the years and can can turn virtually any of our mouldings into a deep box frame. When a customer bought in the coin below his main concern was that the back of the coin, which was just as interesting as the front, would be covered up. The answer was to glaze it on both sides so the reverse could be viewed by simply turning it over. 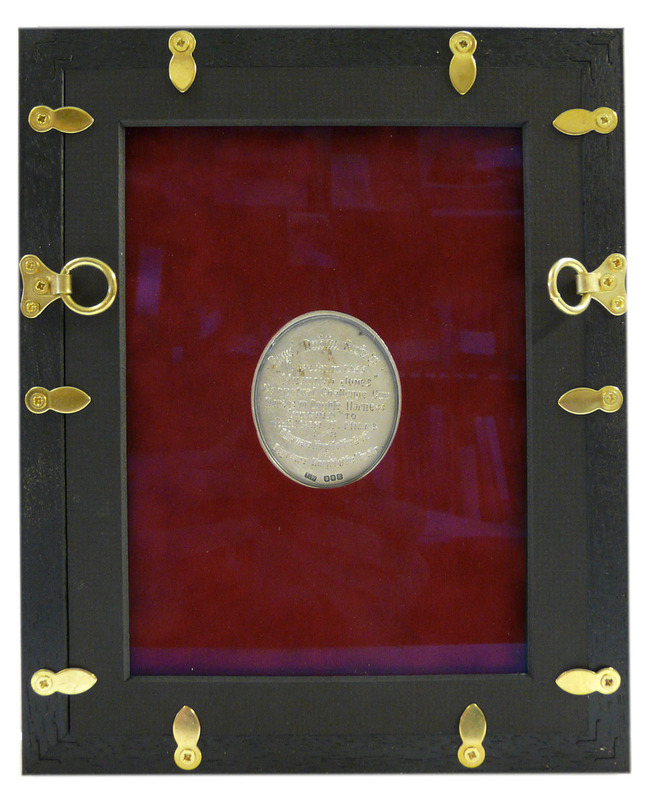 A special double-sided mount was cut and the coin lodged in place and a simple pewter coloured frame complemented the metal. As with all framing, the glass should not touch the item so we used a black window mount to act as both a spacer and border. The black mount was repeated on the reverse to enable brass fixings to keep everything in place. As you can see, the back was as neat as the front!